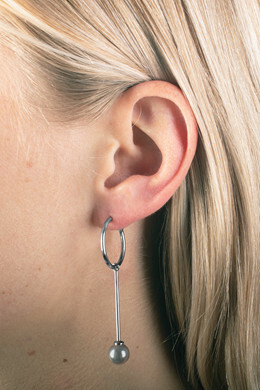 Modern and slim studded hoop earrings with a twist. 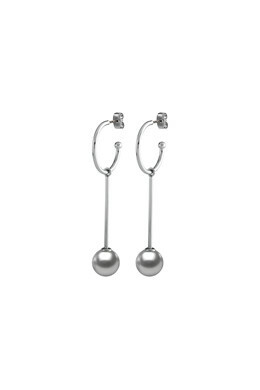 The earrings in a silver toned finish has a long metal bar pendant, with a round grey faux-pearl at the bottom. A simplistic and sophisticated look for any occasion. With a butterfly closure.